It might seem like the peak of summer, but fall is right around the corner. That means flu season if right around the corner too! Manufacturers have started shipping the flu vaccine, and that means its time to get yours before the rush in the later months. Here are a few pieces of Information about the Influenza vaccine. Everyone 6 months of age and older should get a flu vaccine every season. 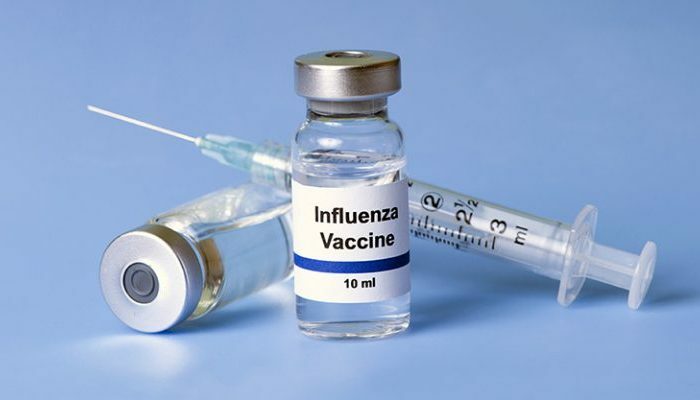 This recommendation has been in place since February 24, 2010 when CDC’s Advisory Committee on Immunization Practices (ACIP) voted for “universal” flu vaccination in the United States to expand protection against the flu to more people. Vaccination to prevent influenza is particularly important for people who are at high risk of serious complications from influenza. Vaccine effectiveness for the prevention of flu-associated hospitalizations was similar to vaccine effectiveness against flu illness resulting in doctor’s visits in a comparative study published in 2016. Flu vaccination has been associated with lower rates of some cardiac (heart) events among people with heart disease, especially among those who experienced a cardiac event in the past year. Flu vaccination also has been associated with reduced hospitalizations among people with diabetes (79%) and chronic lung disease (52%). There are studies that show that flu vaccine in a pregnant woman can reduce the risk of flu illness in her baby by up to half. This protective benefit was observed for several months after birth. And a 2017 study was the first of its kind to show that flu vaccination can significantly reduce a child’s risk of dying from influenza.